Afrisinia: Ethiopisch jeugdcircus dat verstrikt raakte in de trapeze van de Nederlandse regelgeving. De groep bestond uit zestien acrobaten en muzikanten. In 2007 varieerde hun leeftijd van 13 tot 24 jaar. Hun avonturen leidden tot hoge artistieke pieken en diepe persoonlijke drama’s. Een aantal daarvan staat opgetekend onder deze categorie. Vocals & writing Sami El Ghousli, Kasba, & Helen Mengestu, Afrisinia. Trompet & audio: Mark Nieuwenhuis. Video: Mongi Farhani. Recording at Studio nonfiXe Lodge, Vught, The Netherlands. Watch on Youtube: Peace, a song called Nabina. The pdf in this post originates from the website of Oxfam Novib, but has been removed. Since it is a source for the book JES! Towards a joint effort society we publish it here. Circus in Ethiopië financiële bijdrage Oxfam Novib. Auteur adminGeplaatst op augustus 8, 2013 december 20, 2016 Categorieën Afrisinia, Ecolutie & JES! Fundraising Ethiopia; Western countries and the World bank increasingly sponsor the dictatorial regime of Meles Zenawi, while human rights in the country deteroriate. The aid money is used to entighten the strangling grip on Ethiopian citizens, HRW claims in the report Development without Freedom. The donors (i.e. The Netherlands, EU, UK, US, Canada) are very well aware of how their billions are spend and for what purpose. Ethiopia is the second large sponsored developing country in the world, after Indonesia. The country is ruled by a dictatorial regime and human rights deteriorate while the amount of aid money increases. Aid money, according to Human Right Watch, which is used to strengthen the governments’ grip on the citizens even more. And the donors are aware of this. Ethiopians, who manage to escape their abusive government and ask for asylum abroad, have a hard time to get the refuge they need, if they get it at all. The West turns a blind eye twice; by funding a dictator with billions of dollars and refusing to safe harbour his victims, amongst whom sixteen youngsters craving for freedom. Landlocked in the horn of Africa live 85 million Ethiopians. They speak approximately 80 tongues, expressing descent, of which Amharic is the main language. The country is praised for its natural beauty and diversity, for the cultural heritage that goes back to the beginning of mankind. Jews, Muslims as well as Christians found refuge in Ethiopia, centuries ago. The country is even praised for reggae music. The river Nile springs in Ethiopia and the coffee (buna) is famous. Despite the magic hovering over Abyssinia, it is one of the poorest nations in the world with half of its population living under the poverty line. Ethiopia receives $ 3 billion aid money annually, which turns it into the worlds’ second large fundraising nations, according to Human Right Watch in their report ‘Development without freedom’, October 2010. As for the Millennium Goals: How to end poverty and hunger, if aid (food, fertilizer, land et cetera) is only given to supporters of the political party in power? What is the value of education, if it foremost contains propaganda for the party in power? 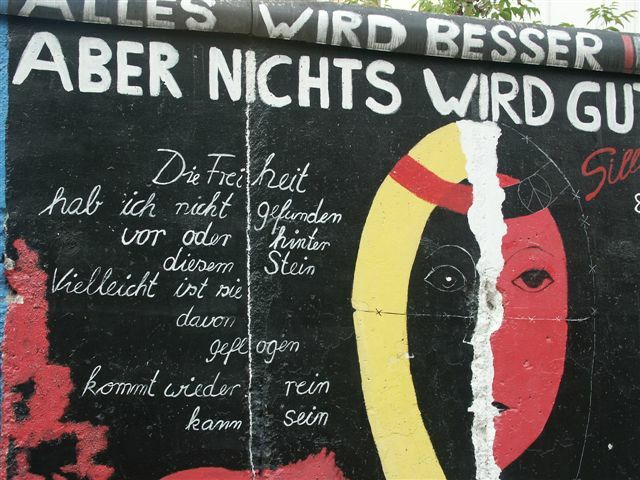 What is the meaning of gender equality if citizens aren’t allowed dissent? How to obtain environmental sustainability without social sustainability? And global partnership? Which true democratic government can explain to its people it is partnering and donating big sums of money to dictators? The Netherlands doubled the contribution to Meles’ regime in the period from 2004 – 2008 to $ 113 million, according to HRW. European Institutes almost gave 4 times as much ‘aid money’, leading up to $ 460 million in 2008. HRW: ‘Some donor officials also argue that broad economic progress outweighs individual political freedoms’. Let us look at some of the evidence about the ‘individual political freedoms’ these officials so carelessly play down. The administrative structure of Ethiopia is such that the government can even touch down in households. The lowest level of organisation is the kebele. Its officials are members and supporters of the ruling party. They control communities and even individuals. For identity papers, building, job referrals, one has to go there. ‘In addition, before the May 2010 general elections, reports surfaced of officials leveraging government services to encourage support for the ruling party and punish dissent. 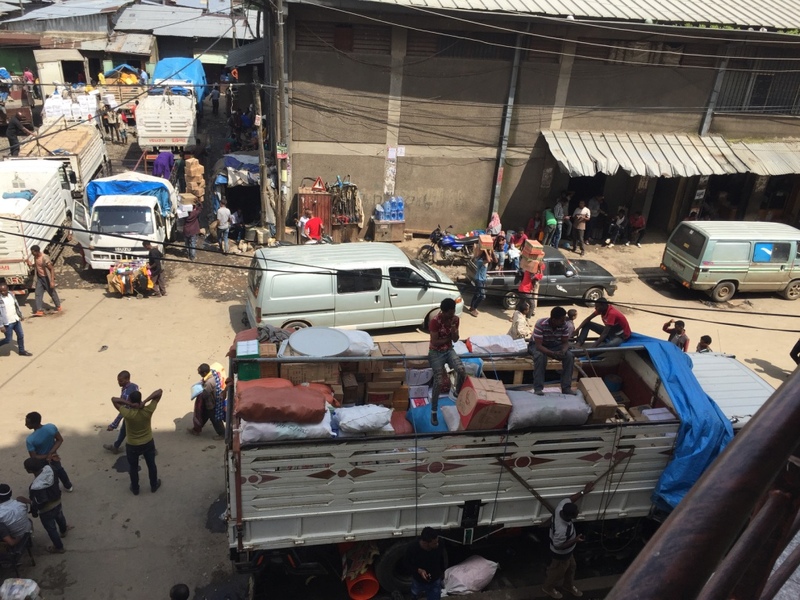 Human Rights Watch documented house-to-house intimidation by kebele officials in Addis Ababa who told residents that they would lose their house or even their job if they did not register to vote and cast a ballot for the EPRDF,’ HRW reports on page 40. HRW is no stand alone whistleblower on the political handcuffs and muzzles that keep the people of Ethiopia under control. Development without Freedom surely is not the first report on large-scale violation of Human Rights by the same regime that rules the country since 1991. Amnesty International, The Ogaden People Solidarity Forum and many others state the same oppression. These are the kind of ‘individual political freedoms’ donor officials argue are less important than economic growth. They seem to think one can build a sustainable society on the fundaments of abuse. By supporting the Meles’ regime the way the donors do, they sacrifice the people who they are meant to help. One of the outcomes of this absurdist, sad story reported by a highly estimated NGO is that who have the opportunity to flee from the country, run. The only reason the rest of the world is not flooded with Ethiopian refugees is, that it is so damn hard to get out. Like stated, one has to obtain papers from the kebele and what on earth does a common man or woman need a passport for? And why would kebele officials provide travel documents to dissidents? Most occupants have neither the money nor the connections to contact a ‘travel agent’, though girls (and sometimes boys) are known to have been trafficked into countries like Dubai and Lebanon to work as slaves in households or as prostitutes. Children especially street children are exceptionally vulnerable in such a poor and destructive society, claims Unicef. Therefore a non-profit organisation that sets up projects and programmes to support them easily attracts sponsors. Circus Ethiopia is such an organisation. Five youth circuses spread through the country teach children acrobatics and how to play an instrument, like the traditional krar and masenqo. The largest circus is Circus Addis Ababa. 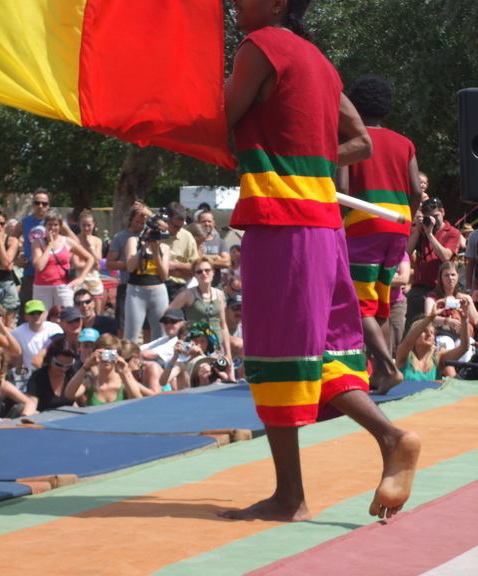 And the main group of Circus Addis Ababa was invited to come to the Netherlands to perform in May 2007. When the youngsters arrived, 6 of them defected immediately, determined not to go back to Ethiopia. The rest asked for asylum, finally telling the stories of their life. A stinking cesspool opened, governmental meddling with the apparently innocent organisation for street children shows how the prevalence of economic growth over individual political freedom can destroy lives. Abuse of power, sexual abuse, child labour, slavery and torture colour the life stories of the youngsters black. You can read more on in Part two of ‘The blind eye of the West’, published soon on nonfiXe. Grim statistics by Unicef: Many street children […] don’t have access to basic rights such as proper care, education, psychological support and supervision. Often, orphans and other vulnerable children are forced to work to earn an income. 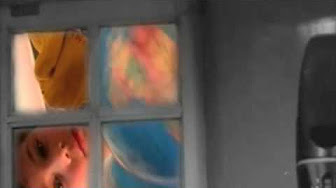 They are exposed to various forms of exploitation, including sexual exploitation. Je kunt niet terug naar je geboorteland en je mag hier niet blijven. Je mag hier niet wonen, niet werken, niet liefhebben, niet slapen, niet ademen. Een heel overheidsapparaat richt zich erop om jou het leven onmogelijk te maken. Waar is de nooduitgang? Afrisinia vs COA, bodemprocedure in de rechtbank van Den Bosch. De jongens en meisjes doen het enige wat ze kunnen doen: ze vluchten. Ze vragen asiel aan, in de volle overtuiging dat hier in het Westen de rechten van de mens wel tellen. Hier tellen de rechten van de Procedure die erop gericht is zoveel mogelijk asielzoekers zo snel mogelijk het land uit te krijgen. De Procedure is de afgod van ambtelijk Nederland, waaraan jaarlijks een bepaald aantal mensen dient te worden geofferd. Om zich ervan te verzekeren dat de Procedure gediend wordt, is een keten van instanties opgericht, en ettelijke tienduizenden (toeleveranciers meegerekend) Nederlanders leggen zich er dagelijks op toe dat het quotum gehaald wordt. Geen van de eisers is in persoon aanwezig om de zitting bij te wonen waarin COA beweert het recht te hebben negen van de zestien circusartiesten van Afrisinia over te plaatsen naar de verst mogelijke uithoek van Nederland: AZC Bellingwolde, genaamd: De Grenshof. Jammer, vindt de rechter, ‘Ik keek uit naar de circusgroep van Afrikanen’. Wat had hij verwacht? Buitelende acrobaten en een jubelende krar in zijn rechtszaal? De Afrikanen die de rechter zo graag had willen zien, sluipen door de straten op zoek naar voedsel en een slaapplaats. Ze kunnen geen kant op. Ondanks de overvloed aan bewijsmateriaal, verklaringen en aanwijzingen, heeft de Nederlandse asielketen (IND, COA, DT&V, Vreemdelingenpolitie en ja, zelfs de rechtbanken en Raad van State doen vrolijk mee) zich stellig voorgenomen om zestien jonge levens in de knop te breken. Dezelfde rechtbank in ’s-Hertogenbosch besloot op 28 december 2009 even snel dat de Ethiopische jongeren geen recht meer hadden op zakgeld (€50,-) en ziektekostenverzekering. ‘Ik kan me niet aan de indruk onttrekken dat er productie moest worden gemaakt voordat het kalenderjaar ten einde was,’ merkt Piet Hein Hillen, advocaat van de jongeren op. ‘Ja, dat is een van de eisen die de minister stelt,’ beaamt de rechter. De zitting van woensdag 31 maart 2010 in ’s-Hertogenbosch is het zoveelste bewijs van een Kafkaiaans samenspel der instituten. Negen van de zestien jongeren (die al van kindsaf aan samen zijn op het circusterrein en niet te vergeten in de straten van Addis Abeba) werden in augustus 2009 door COA gesommeerd om van het AZC Dongen te vertrekken naar De Grenshof in Bellingwolde. Reistijd: vierenhalf uur, prijs enkele reis: € 35,03 – ze konden binnen de Nederlandse grenzen niet verder uit elkaar getrokken worden. ‘Het is de best mogelijke oplossing,’ volgens COA, dat lamenteert over werkdruk en bezettingsgraad. Een organisatie die opgericht is om vluchtelingen op te vangen, zou toch in staat moeten zijn om met een flexibel aantal gasten om te gaan. In 2004 huisvestte de COA 40.000 mensen. In 2009 nog 21.000 en was er sprake van grote ‘uitstroom’, aangezien de ‘Pardonners’ de centra verlieten. Toch is er nergens in de buurt van Tilburg – waar NIDOS de minderjarigen plaatste om dicht bij de net meerderjarigen te zijn – een plekje vrij? Leegstand kost geld. COA kan zich geen lege plaatsen op AZC’s veroorloven. Geld is belangrijker dan een ‘vreemdeling’, dus lege plaatsen worden zo snel mogelijk afgestoten. Hoeveel geld kost alleen deze procedure al? 600 Hekken rondom het prefab huisje waar Afrisinia in Dongen zat, drie gerechtelijke procedures waarvoor de landsadvocaat is ingeschakeld, COA medewerkers die naast de landsadvocaat in de rechtszaal gaan zitten …. Video: 600 Hekken rondom een prefab huisje, sober doch humaan? Een wandeling van vijf minuten om bij de straat te komen. Wat als er brand uitbreekt? Hoe komen hulpdiensten bij de deur? ‘COA vangt sober doch humaan op’, repeteert de landsadvocaat (de eigen juristen worden kennelijk niet capabel genoeg geacht om deze zaak te voeren) een aantal malen. ‘COA bepaalt of en waarheen overgeplaatst wordt. Ook kinderen die al een aantal jaren naar dezelfde school gaan, worden overgeplaatst,’ zegt hij zonder enige schaamte. Bovendien: het was de beste optie. De beste oplossing? Nergens in het dossier blijkt dat er enige inspanning is verricht om zelfs maar te zoeken naar een andere oplossing: geen telefoonnotitie, geen e-mail. Uit niets kan worden opgemaakt dat ook maar 1 medewerker van COA 1 vraag heeft gesteld aan het hoofdkantoor of aan een naburig AZC over de mogelijkheid om een plekje te vinden voor deze, toen nog vrolijke jeugd die zich meermalen welwillend toonde aan de Nederlandse samenleving, door zelfs op te treden tijdens Generaal Pardondagen waar nieuwe Nederlanders verwelkomd worden. ‘Deze jongeren hebben geen recht op toegang tot de Nederlandse samenleving,’ vindt de landsadvocaat. ‘Ze hebben geen recht op het voortzetten van hun circusactiviteiten. Bovendien kunnen ze blijven oefenen. Het kost alleen wat meer moeite….’ Hoe zou de landsadvocaat zelf reageren, als hij werd overgeplaatst en iedere dag vierenhalf uur heen en vierenhalf terug moest reizen naar zijn werk? Of verhuizen en zijn kinderen naar een andere school moest sturen, en een half jaar later weer? Is dat niet gewoon waar? willen we de landsadvocaat vragen. Is het niet bijzonder en schrijnend als je alles hebt achter moeten laten: familie, huis, vrienden, werk, kortom een heel leven? Is het niet schrijnend als je de geuren van je land niet meer kunt opsnuiven, de klanken van je taal niet meer kunt horen? Is het niet mensonterend zoals je hier sober doch humaan (volgens de normen van COA) wordt opgevangen, steeds wordt overgeplaatst, niet mag werken, niet mag studeren en jaren verliest in een Procedure waarin je naam wordt vervangen door het woord ‘vreemdeling’, ondanks het feit dat je de meest intieme zaken hebt moeten vertellen aan jou onbekende ambtenaren. Tijdelijke ‘administratieve uitplaatsing’ van de jongeren naar een huis in Den Bosch dat door de stichting Afrisinia ter beschikking was gesteld, was absoluut geen optie voor COA (terwijl Stichting Afrisinia juist dacht behulpzaam te zijn door mee te denken). Want: na een eerste negatieve beschikking dient de asielzoeker te worden voorbereid op terugkeer. De terugkeer AZC’s zijn hier speciaal op ingericht, aldus de landsadvocaat. Er werkt een ander type mens dan in de Integratie centra. Er wordt geen Nederlandse les gegeven. Er worden terugkeer gesprekken gevoerd, beweert hij. In praktijk is het echter een nogal mager pakket. Bovendien is voor de terugkeer van asielzoekers op 1 januari in 2007 een speciaal instituut opgericht: de Dienst Terugkeer en Vertrek. Die zit ook in Den Bosch. ‘Als de leden van de circusgroep gevorderd worden door de Dienst Terugkeer en Vertrek, dan komen ze niet,’ zegt de landsadvocaat. Echter, ze kwamen wel. Ze kwamen naar een politiebureau in Tilburg. Dat politiebureau is gevestigd naast de Willem II gevangenis waar achter hoge hekken met prikkeldraad vreemdelingen gevangen zitten tot er een vliegtuig vol is en ze gedeporteerd worden. Eén verkeerd woord, of je wordt ook opgesloten. Een verslag van zo’n gesprek tussen de DT&V en een van de jongens van Afrisinia is te vinden onder de titel: ‘Faillissement van een bot land’ . Ze kwamen nog een keer, naar hetzelfde politiebureau naast diezelfde vreemdelingengevangenis. Weer dezelfde intimidatie. En de derde keer? Ja, toen bleven ze weg. Zou jij nog gaan? Als je zeker weet dat je opgepakt wordt terwijl je geen misdaad hebt begaan, maar enkel je leven wilt redden? We leven in een rechtsstaat die van mensen eist dat ze vrijwillig en zonder morren hun hoofd in een strop steken en zelf het voetenbankje onder zich wegtrappen. De rechter, die graag de circusgroep van Afrikanen had gezien, bepaalt mede zelf of hij die kans op een blik in de menselijke Zoo nog krijgt. Hij neemt daar zes weken de tijd voor. Auteur adminGeplaatst op maart 31, 2010 februari 14, 2018 Categorieën AfrisiniaTags Afrisinia, asiel, coa, Ethiopië, jeugdcircusLaat een reactie achter op waar is hier de nooduitgang? De kernwaarden van de Nederlandse rechtsstaat gelden alleen als je hier geboren bent, zo blijkt ook uit het landenrapport over Nederland door de Europese Commissaris voor de Rechten van de Mens, Thomas Hammarberg. De kernwaarden van de rechtsstaat zijn: vrijheid, gelijkwaardigheid en solidariteit, zo staat te lezen op de website van het ministerie van Justitie. Burgers begrijpen deze kernwaarden niet altijd even goed, vindt het ministerie, en bovendien kunnen ze leiden tot conflicten of dilemma’s, zoals de bekende spanning die vrijheid oproept als de veiligheid in het geding is. Er is dan ook een speciale commissie ‘Uitdragen kernwaarden van de rechtsstaat’ in het leven geroepen en die heeft in 2008 advies uitgebracht aan het kabinet. In datzelfde jaar, september 2008, bezocht Eurocommissaris voor de Rechten van de Mens, Thomas Hammarberg, Nederland en beschreef zijn bevindingen in een landenrapport. De situatie voor minderjarige asielzoekers is zo mogelijk nog schrijnender. Kinderen hebben geen schijn van kans. En de kinderen die binnen drie jaar na hun asielaanvraag 18 jaar worden, worden zonder pardon het land uit gezet. Dat dreigt ook enkele leden van Afrisinia te overkomen. Hun meerderjarige (namelijk 22 of 23 jaar oude) ‘broers en zussen’ krijgen de gelijke behandeling die iedere asielzoeker krijgt. Op basis van een ‘niet-tenzij’-beleid, beschikt de IND onophoudelijk negatief, toetst de rechter marginaal, namelijk alleen of de IND de procedure wel gevolgd heeft en worden de jongeren gesommeerd om zich te melden bij de Dienst Terugkeer & Vertrek om via een Vrijheids Beperkende Lokatie (eufemisme voor gevangenis) terug gestuurd te worden naar Ethiopië, waar een dictator en zijn vrienden hen met open armen zullen ontvangen en linea recta doorsturen naar een Vrijheids Beperkende Lokatie waar enkel de ratten in hun voedsel kunnen voorzien. Lang leve de kernwaarden van de rechtsstaat: vrijheid, gelijkwaardigheid en solidariteit. Wie begrijpt het nu niet goed: de burger die het opneemt voor een medemens of de wetgever zelf? 47. Asylum decisions of the IND are partly based on information from the Ministry of Foreign Affairs contained in official reports (ambtsberichten) the accuracy of which have been questioned by the NGO Refugee Council, the national ombudsman and in one case also by the ECtHR. Under the accelerated procedure, appeals must be lodged within one week with the District Court and on appeal with the Council of State. The courts do not make an assessment on the merits but only examine points of law. Appeals under this procedure do not have suspensive effect and applicants are not allowed to await the outcome of the procedures in the Netherlands but must leave the country. UNHCR has consistently taken the position that the suspensive effect of asylum appeals is a critical safeguard to ensure respect for the principle of non-refoulement. The applicant can apply to a district court for an injunction to prevent expulsion. 48. Asylum seekers do not have a right to stay in the reception facilities during the appeal procedure. Under current Dutch law, decisions of the IND are subject to a limited scrutiny by the courts, the facts largely deemed to be established as found by the State Secretary, including the credibility assessment of the applicant. Evidence that theoretically could have been brought forward earlier may not be taken into account at the appeal stage. This leads to a considerably high number of repeat applications. The Council of State may deliver a judgment without a reasoning and frequently does so. Persbericht op 15 maart 2010 n.a.v. voorpaginanieuws in de Volkskrant waarin beschreven staat dat het Europees Comité voor Sociale Rechten de Nederlandse regering berispt over het op straat zetten van minderjarige asielzoekers. Het verhaal van Afrisinia is exemplarisch hiervoor. Dat Nederland de Mensenrechten schendt, blijkt niet alleen uit de recente bindende uitspraak van het Europees Comité voor Sociale Rechten tegen het op straat zetten van uitgeprocedeerde Nederlandse asielzoekers met kinderen, maar ook uit de wijze waarop Nederland een ‘familie’ Ethiopische circusartiesten heeft behandeld. De groep van 22 jongeren, waaronder veel minderjarigen, kwam op 24 mei 2007 naar Nederland op uitnodiging van een grote sponsor. Prompt ontsnapten zes leden van het circus aan de controle van de leiding, die de paspoorten had. De overige 16 leden van het circus, waaronder momenteel vijf minderjarigen, werden opgesplitst. De minderjarigen werden uiteindelijk, onder toezicht van een voogd, in gezinsvervangende huizen geplaatst in Tilburg en Waalwijk, met als argument dat ze dan dichtbij de rest van de groep zouden wonen, zodat de 16 jongeren samen konden oefenen. De 11 volwassen tieners en twens werden door het Centraal Orgaan voor de opvang van Asielzoekers (COA) eerst in Eindhoven geplaatst en daarna in Vught, waar enkele burgers zich over hen ontfermden en de Stichting Afrisinia in het leven riepen. Onder die naam werden vele optredens verzorgd in heel Nederland en ook in België (zie YouTube, kanaal frankvanempel). 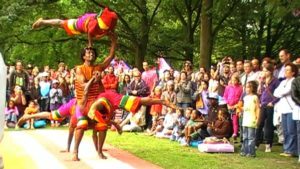 Intussen voerde de Immigratie en Naturalisatie Dienst (IND) procedures uit tegen individuele leden van het circus. Daarbij ging het alleen maar om de vraag of de verklaringen van de individuele leden geloofwaardig en consistent zijn. Van meet af aan werd de groep niet als eenheid behandeld. Een aantal rechters zette daar vraagtekens bij. Ook bij het feit dat de IND de individuele verklaringen niet vergeleken had. Had de IND dat wél gedaan, dan zouden de inconsistenties en ongeloofwaardigheden zijn verdwenen als sneeuw voor de zon. Alle individuen hebben namelijk hetzelfde verhaal. Alleen vertelt de één dat wat meer onbeholpen dan de ander. Pas toen het voor Afrisinia te laat was, erkende de IND dat de 16 jongeren samen waren gekomen en ook samen terug willen gaan. Ketenpartner COA had toen zijn vernietigende werk al gedaan. Eerst wilde het COA de 11 volwassen jongeren uitplaatsen naar ‘s-Gravendeel, ver van de vijf minderjarigen. Stichting Afrisinia en de nodige tamtam in de pers wisten daar Dongen van te maken. Vanuit Dongen werden ze vervolgens naar Bellingwolde in Noord-Groningen gedeporteerd. Afrisinia protesteerde, weigerde te vertrekken en kreeg een kort geding van COA aan de broek. Afrisinia won dat kort geding. COA weigerde de jongeren anders onderdak te verlenen dan in Bellingwolde en keerde ook geen zakgeld meer uit. Particulieren namen vrijwillig en voor eigen kosten de overheidstaak op zich. Dat ging redelijk goed, totdat de Dienst Terugkeer en Vertrek (DT&V) advocaat Hillen van Afrisinia liet weten ‘actief jacht te gaan maken’ op de uitgeprocedeerde leden van het circus. Er brak paniek uit. Afrisinia durfde niet meer op te treden. De individuele leden durfden ook niet meer bij de particulieren te blijven die hen tot dan toe onderdak boden. Ze stoven uiteen en zijn nu verspreid over heel Nederland. Twee nog niet uitgeprocedeerde leden meldden zich bij het asielzoekerscentrum in Emmen en riskeren uitzetting door de IND, die steevast als eerste op de hoogte is van rechtelijke uitspraken en dus steeds een stap voorloopt. Eén lid, dat een opleiding aan de Circusacademie in Tilburg volgt slaapt twee dagen per week bij de daklozenopvang en zoekt een dak boven zijn hoofd. Zijn ‘familieleden’ zijn ondergedoken in kraakpanden, of zwerven door diverse steden en verblijfplaatsen. De 16 voelen zich broer en zus van elkaar, maar worden niet als gezin of familie erkend door de Nederlandse autoriteiten. Dit is wrang, omdat een aantal leden wees is en dus op straat zou komen te staan in Ethiopië. De 16 zijn van jongs af aan bij elkaar, ze zijn – soms in het bijzijn van hun broer of zus – verkracht door de circusleiding en bestuursleden die nauwe banden onderhouden met het dictoriale regime in Ethiopië. Een aantal is gedwongen tot prostitutie. Ze konden geen kant uit en vrezen dan ook in hun eentje of als kleine groep uitgezet te worden. De Nederlandse autoriteiten hebben zich tot nu toe volledig ongevoelig getoond voor deze feiten. Zij hebben slechts aandacht voor procedures. De COA is zelfs in hoger beroep gegaan tegen de uitspraak van de rechter dat de 11 volwassen leden van het circus niet konden worden gedwongen om naar Bellingwolde te gaan. Het asielzoekerscentrum in Dongen is intussen volledig ontmanteld. Als Afrisinia in hoger beroep gelijk krijgt, dan moet het terug naar iets wat er niet meer is. Intussen dient er ook nog een bodemprocedure. 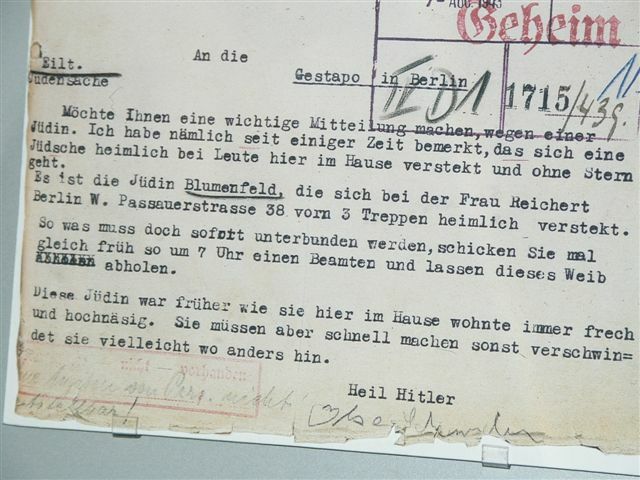 De Nederlandse autoriteiten maken een operette van het asielbeleid. De Stichting Afrisinia zit intussen niet stil. Advocaat Hillen uit Tilburg heeft een aantal uitgeprocedeerde circusleden naar het Europese Hof voor de Rechten van de Mens geloodst. Met success! In Ethiopië werden ze onderdrukt, seksueel misbruikt en bedreigd. In Nederland is nooit serieus op hun verhaal ingegaan. Geen asiel. Ondanks ambtsberichten en andere documenten die hun verhalen bevestigen. Het Europees hof voor de Rechten van de Mens is hun laatste hoop. Een rechter die naar het verhaal kijkt, in plaats van naar de procedure. Afrisinia goes Europe. En Europa roept het kabinet Balkenende ter verantwoording. Op 11 maart had Nederland antwoord moeten geven op vragen van de rechter over de wijze waarop de asielprocedure van de leden van Afrisinia verloopt. De Stichting Afrisinia en advocaat Hillen weten nog van niks. Een verzoek aan demissionair staatssecretaris Albayrak om hulp is gestrand bij de fractie van de PvdA in de Tweede Kamer. Die vond de zaak niet urgent genoeg. Op een rechtstreeks appèl aan de staatssecretaris voor Vreemdelingenbeleid is nooit geantwoord. Wordt vervolgd. The Afrisinia Fence Project, Korte film Afrisinia in AZC Dongen na het vonnis van de rechtbank Breda dat COA de groep niet mocht splitsen. Zestien Ethiopische jongeren stranden in de Nederlandse asielprocedure. Sinds mei 2007 wachten de jongens en meisjes van circus Afrisinia in asielzoekerscentra op bescherming. De IND wil hen op basis van algemene argumenten uitwijzen naar een zekere toekomst: vervolging en misbruik. De jongeren van Circus Afrisinia zijn tussen de 14 en 24 jaar oud. 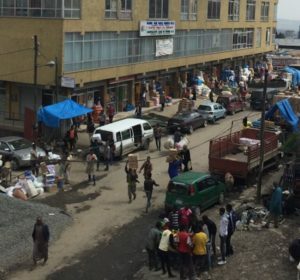 Ze komen uit Addis Abeba uit de armste gezinnen – In Ethiopië moet 80% van de bevolking van minder dan $ 20,- per maand zien te overleven – Een aantal van hen is straatkind. De groep is al van jongsaf aan bij elkaar. Ze vormen een familie. De COA in Nederland behandelt hen ook als sociale eenheid. In Ethiopië voeren Minister President Meles Zenawi en zijn regeringspartij een strak dictatoriaal en willekeurig beleid. De jongens en meisjes van Afrisinia hebben dat aan den lijve ondervonden. Meerdere malen zijn ze opgepakt en zonder proces in de gevangenis beland. Het uitdelen van pamfletten voor de oppositie partij of toevallig ergens aanwezig zijn, zijn hiervoor voldoende aanleiding. De jongens vertellen over martelingen. Zo is een van hen enkele dagen en nachten lang in een ton koud water gezet, tot aan zijn kin. Als hij in slaap viel, zou hij verdrinken. Af en toe haalden zijn bewaarders hem er even uit om hem later weer terug te zetten. Een andere jongen vertelt hoe hij zich als jong kind aanmeldde en de poort naar het circus zag eruit als de poort naar de hemel. 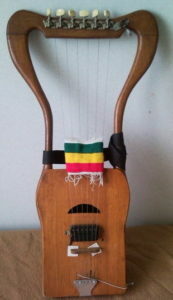 Hij kreeg muziekles, betaalde hiervoor 10 birr contributie. Hij had talent en steeg in de hiërarchie tot hij de ‘top’ namelijk de eerste groep bereikte. Toen moest hij de oorlog tegen Somalië verheerlijken en mensen aanzetten zich te melden voor militaire dienst. Ook andere ‘boodschappen’ van de regering Zenawi werden in voorstellingen gegoten. Hij wilde dat niet, hij was het er niet mee eens, daarom besloot hij het circus te verlaten. Er volgde een ‘gesprek’. Een pistool op tafel en dreigementen: ‘jij blijft en jij doet wat wij willen’. Hij bleef. In Nederland zag hij de kans schoon om te ontsnappen. De meisjes werden gedwongen mee te gaan met ‘belangrijke’ mannen (lees: sponsoren) en seks met hen te hebben. De kinderen zijn slachtoffer van meerdere vormen van intimidatie, gevangenneming, verkrachting en oneigenlijke machtsuitoefening. Ze moeten optreden zonder hiervoor enige vergoeding te ontvangen behalve één maaltijd per week. De jongeren die in Nederland asiel hebben aangevraagd, vormden de beste groep. Ze kwamen als ‘ambassadeurs’ naar Nederland voor een optreden op het Wereldkinderfestival (eveneens betaald door Oxfam € 43.250,-). Nu zij niet zijn teruggekeerd en hun verhaal hebben verteld aan de Nederlandse autoriteiten en pers, lopen de kinderen nog meer gevaar om terug te keren. Aangezien ze een groep vormen, trekken ze de aandacht. Hun asielaanvraag heeft dan ook in de krant gestaan in het land van herkomst. De willekeur van weleer zal veranderen in gerichte represailles door overheid en het daarmee verbonden circus management. De (financiële) belangen en het gezichtsverlies zijn namelijk groot. Niemand kan en zal hen beschermen. En niemand zal weten wat er met hen gebeurt, aangezien er van vrije pers geen sprake is in Ethiopië. In Nederland hebben de jongeren zich steeds van hun beste kant laten zien, door op te treden op Generaal Pardondagen in diverse gemeentes, op festivals en multiculturele aangelegenheden. Ze zijn talentvol (waren Nr 1 van Circus Ethiopië) en ambitieus. Hun shows zijn een verrijking voor onze samenleving. Traditionele instrumenten (krar, masenqo, fluit) en dansen vermengen met Westerse muziek en theater. Afrisinia heeft samengewerkt met Nederlandse artiesten en regisseurs, waaronder Kasba, Bart de Rijk, Koen Schyvens en Lisah Baart. Kortom: win-win kan door hen hier een bestaan te laten opbouwen. Het betekent veiligheid en een toekomst voor jonge mensen en een verrijking voor Nederland. Twee minderjarigen hebben een tijdelijke verblijfsvergunning gekregen omdat ze in het land van herkomst risico lopen besneden te worden. De meisjes die al besneden zijn, ontvingen zonder uitzondering een negatieve beschikking. Alle jongens hebben een negatieve beschikking ontvangen. Het voornaamste argument van de IND luidt dat geen van de jongeren persoonlijk vervolgd zal worden, ongeacht de stroom aan berichten die het tegendeel bewijst en zonder rekening te houden met het feit dat de groep als zodanig aandacht trekt in Ethiopië. Aangezien de kinderen hun land legaal konden verlaten, zo redeneert de IND, kunnen ze ook terug. Een statische denkwijze. Doordat de groep en masse asiel heeft aangevraagd en hun verhaal heeft verteld, lopen alle leden het gevaar gericht vervolgd te worden. Australië heeft in 2005 asiel verleend aan een groep artiesten/jongeren van Circus Ethiopië die om soortgelijke reden en op eenzelfde wijze bescherming vroeg. Alle jongeren die een negatieve beschikking ontvingen, zijn in hoger beroep gegaan. De eerste twee zittingen vinden plaats op 25 maart om 15.30h in de rechtbank in Roermond. De derde zitting is in Maastricht, op 31 maart om 13.30h. Er is weinig aandacht voor het totale verhaal dat uitmondt in individuele drama’s. Medewerkers van het Ministerie van Justitie, die werkzaam zijn in ‘de keten oppakken, vastzetten, uitzetten’ zijn meedogenloos in hun verhoren, en wassen hun handen in onschuld na afloop. Een tragedie in twee bedrijven. 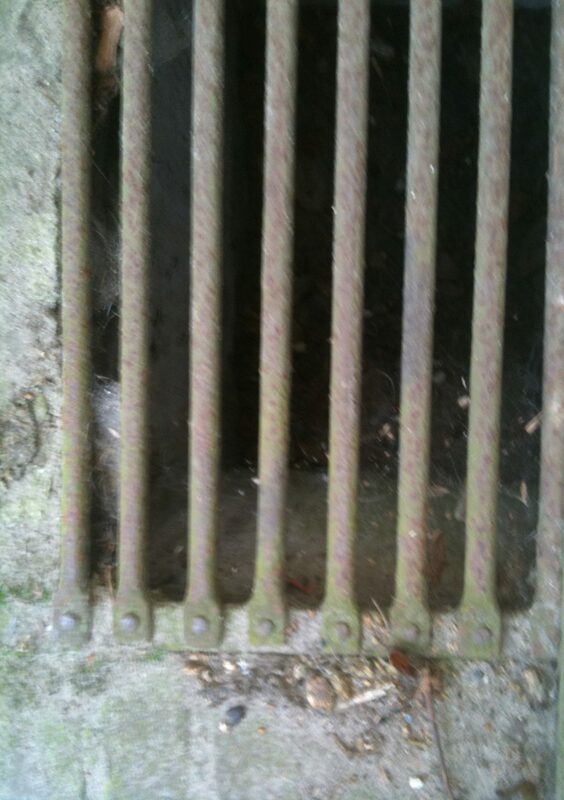 Afspiegeling van de macabere werkelijkheid in de notitieblokken van nonfiXe. Plaats van handeling: Dienst Terugkeer en Vertrek, pal naast de gevangenis aan de Ringbaan Zuid in Tilburg. Hoofdrol: medewerker B van de Dienst Terugkeer en Vertrek van het Ministerie van Justitie (<<). Turbo: twee leden van de Vreemdelingenpolitie. uitgeprocedeerde Asielzoeker van het Nederlands-Ethiopische jeugdcircus Afrisinia. Hij krijgt nauwelijks het woord (>>). IOM = International Organization for Migration. De IOM biedt in Nederland verblijvende vreemdelingen hulp bij migratie, remigratie, doormigratie en gezinshereniging. COA = Centraal orgaan Opvang Asielzoekers. De COA vangt namens het Ministerie van Justitie asielzoekers op, geeft hen onderdak en te eten. Onaangedaan = ijskoud, koel, koelbloedig, koud, koudweg, onbewogen, ongeroerd, ongevoelig, onhartstochtelijk, stoïcijns, ongestoord, onberoerd, niet getroffen, niet geroerd, lauw. Koffie, voorstellen en handen schudden in de hal. Medewerker B doet zich voor als een joviale gastheer. Mis! De jovialiteit is een vermomming die al snel verandert in een battle dress. Onaangedaan geselt B enkele minuten later de Asielzoeker met een stortregen aan heldere en krachtige, niet mis te verstane woorden. Stoere taal in de oren van veel Nederlanders. Een associatie met terreur in die van rechtschapen Nederlandse burgers met gevoel voor de medemens. Je hoeft geen kenner van Kant of Derrida te zijn om te walgen van het Nederlandse asielbeleid. Ben je dat wel, dan staan de volgende zinnen gelijk aan het fusilleren van onschuldige burgers in een ongelijke strijd van gewapende geweldenaren tegen ongewapende en ook nog geboeide slachtoffers. Voor nonfiXe en andere ijveraars voor integratie van vluchtelingen wordt op deze ochtend, vrijdag 11 september – 9/11 – het faillissement van de Rechtsstaat Nederland uitgesproken. << ‘U bent ver-wij-der-baar uit Neder-land. >> ‘ Ik wil op dit moment meewerken, maar wil eigenlijk wachten op terugkeer van de groep waarvan ik deel uitmaak en met wie ik hier gekomen ben en asiel heb aangevraagd’. >>>> ‘Die verblijflocatie, is dat Vlagtwedde? Een bode komt binnen. ‘Mijnheer B, er zijn mensen voor u’. B informeert en passant nog even of de Asielzoeker is ingeschreven bij de gemeente. ‘Nee,’ antwoorden Steun en Toeverlaat. ‘Stichting Afrisinia heeft zich voor hem garant gesteld. Dat moet voldoende zijn’. Een slanke man en een ietwat gezette vrouw treden binnen. Ze komen met een oekaze van hogerhand. Die is zo duidelijk als wat, dus lang hoeven ze niet te blijven. De 12 weken Vlagtwedde van B krimpen vliegensvlug in tot 14 dagen. Op verzoek van de algemeen directeur van de Dienst Terugkeer en Vertrek is de naam van de medewerker uit dit verhaal gehaald. Wij zijn het in zoverre met hem eens, dat de DT&V regeringsbeleid uitvoert en individuele medewerkers niet op het schavot hoeven te belanden. Wat blijft is de persoonlijke verantwoordelijkheid van ieder mens. Dat kun je niet afdoen met de simpele redenering: ik voer de wet uit en het is nu eenmaal mijn werk. Eindelijk heeft COA op papier gezet waarom Afrisinia gesplitst moet worden. In diverse kranten, waaronder de Volkskrant, lezen we steeds andere redeneringen van het orgaan. Vrijdag 21 juli beslist de rechter in Breda. Ondertussen verblijven de jongeren in een AZC dat om hen heen gesloopt wordt. Afrisinia zit in Dongen op het verlaten terrein van het AZC. De tien jongeren verblijven tussen de sloopwerkzaamheden. Ze willen wel weg. Graag. Het is geen lolletje om alleen daar te zitten, achter een hek met bewaking, zonder wasmachine en zonder televisie. Maar het alternatief dat COA hen biedt, 300 kilometer ver weg van de minderjarigen van de groep is een No Go. De kinderen zijn met elkaar opgegroeid. Een aantal van hen leefde als wees in de straten van Addis Abeba. Ook in de hoofdstad van Ethiopië waren ze al op elkaar aangewezen. Zij vormen een familie. Ze hebben tezamen asiel aangevraagd in Nederland, twee jaar en 3 maanden geleden. Ze trainen en geven shows als jeugdcircus. Om een menselijke piramide te bouwen, moet je goed weten op welke schouder je je voet plaatst. Nu wil COA hen vier uur en drie kwartier reizen van elkaar scheiden. Dat is dood in de pot. Dit terwijl Stichting Afrisinia aanbood om de kinderen te huisvesten. Waarom gaat COA niet op dit voorstel in? Het duurde bijna vier weken voordat het orgaan haar beslissing motiveerde. Als eerste reden wordt genoemd dat de opvang van asielzoekers een tweekoppig model kent: oriëntatie en terugkeer. Dat komt tot uiting in de wijze van opvang. De vluchteling moet namelijk wel duidelijk voelen dat ‘niet toelaten betekent dat hij/zij terugkeert’. Dit signaal wordt gegeven na een eerste negatieve beschikking van de IND. In de Terugkeercentra zijn de voorzieningen ‘anders’. Hoe ‘anders’ beschrijft COA niet. Maar uit mondelinge informatie blijkt dat er ‘terugkeergesprekken’ gehouden worden in dergelijke AZC’s die over het algemeen ver van een bebouwde kom liggen. Voor zover het beleid beschreven staat op de COA website, gaat het erover dat het ‘humaan’ is om mensen duidelijkheid te bieden. Voor zover wij kunnen beoordelen, worden vluchtelingen steeds verder doorgeschoven naar de randen van Nederland waar ze zonder protest door Nederlanders (want uit zicht) teruggestuurd kunnen worden. In Den Bosch huist de Dienst Terugkeer en Vertrek. Dat is de club die de terugkeergesprekken voert. Afrisinia kan dus heel goed vanuit Den Bosch voorbereid worden op eventuele terugkeer. Zo’n gesprek hebben wij overigens een keer bijgewoond en het heeft niet veel meer om het lijf dan de vluchteling wijzen op het bestaan van het IOM en vragen of de vluchteling van plan is om mee te werken. Als hij of zij dat niet doet, komt de vreemdelingenpolitie in actie en wordt de ‘vreemdeling’ in bewaring gesteld (in de gevangenis gezet). Het woord vreemdeling wordt gebruikt omdat ‘vluchteling’ juridische erkenning van je asielrelaas betekent. Door de scheiding van machten, IND – COA – Dienst Terugkeer en Vertrek, kunnen de ‘functionarissen’ van die instanties zich voortdurend verschuilen achter een instituut. ‘Ik vind het heel erg voor je, maar ik kan er niets aan doen,’ is een veelgehoorde uitspraak. COA schrijft in de dagvaarding aan Afrisinia dat ze bevoegd is om te bepalen of iemand wordt overgeplaatst. Dat betekent dat COA dus gewoon akkoord had kunnen gaan met het voorstel van Stichting Afrisinia om administratief uit te plaatsen! Temeer omdat verderop staat geschreven dat: ‘De door het COA verleende opvang is bedoeld om asielzoekers in het kader van de asielprocedure onderdak te verschaffen indien zij daarin zelf niet kunnen voorzien en om hen in het kader van het onderzoek naar hun asielaanvraag voor de IND beschikbaar te houden’. Afrisinia kan in eigen onderdak voorzien! Ook aan dat laatste voldoet Afrisinia door in Den Bosch of Vught te stempelen. Vervolgens wordt zonder enige schaamte vermeld dat COA loopbrieven en andere documenten uitreikte aan de leden van Afrisinia, zonder met een beschikking te komen. Ook het ongemotiveerde Voornemen volgde pas op 29 juli (twee weken na de mededeling dat tien artiesten van de zestien naar Groningen moesten). Samen trainen is geen reden om samen te blijven, vindt COA. Over de hechte emotionele band, over de rapporten van NIDOS (voogd van de minderjarigen) waarin staat dat de groep functioneert als een familie, rept COA met geen woord. Wel heeft het orgaan opeens haast, daarom is tot een kort geding besloten, in plaats van een bodemprocedure. Het AZC Dongen moet immers leeg opgeleverd worden aan de gemeente. Afrisinia, zestien jongeren afkomstig uit een dictatuur, die zijn misbruikt, mishandeld, verkracht en onderdrukt in hun land van herkomst, is de dupe van koele redeneringen over gelijkheidsprincipes en gerechtelijke procedures. Ook al schuift de IND op in haar mening over Ethiopië. Ook al is het Nederlandse ministerie van Buitenlandse Zaken met een nieuw ambtsbericht gekomen, waaruit wel degelijk blijkt hoe gevaarlijk terugkeer naar de hoorn van Afrika kan zijn. De IND kan NIET uitsluiten dat de jongeren gevaar lopen als ze uitgezet worden. Dat wordt en passant tijdens de laatste zitting gezegd. Hierover staat meer in het artikel: ‘Russisch Roulette voor asielzoekers’ op deze site.